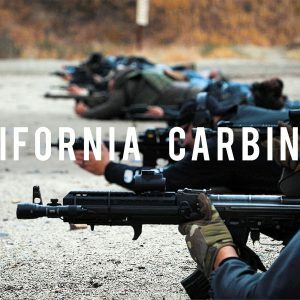 CURRENTLY, CALIFORNIA CARBINE 1 AND CALIFORNIA CARBINE 2 ARE ONLY OFFERED AS A COMBINED 8 HOUR CLASS FOR ONE REDUCED PRICE. This all day class will focus on defensive fighting with a carbine/rifle. 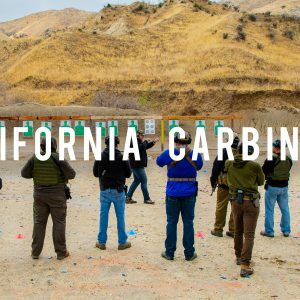 We’ll cover how to excel with the limitations California has put on you (ie 10 round magazines, fixed magazine and featureless rifles, etc.) defensive shooting from various positions, mindset, critical thinking in dynamic environments, sling work, shooting while moving and shooting from cover. Lot’s of moving around in this class. This all day advanced class will focus on defensive fighting with a fighting rifle. 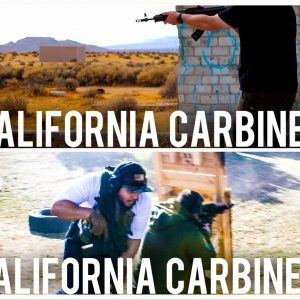 We’ll cover how to excel with the limitations California has put on you (ie 10 round magazines, fixed magazine and featureless rifles, etc.) defensive shooting from various positions, mindset, critical thinking in dynamic environments, sling work, shooting while moving and shooting from cover. Lot’s of moving around in this class. Learn how to shoot carbine (AR15 and AK-Variant) rifles effectively, accuratley and confidently. In this class you’ll learn the fundementals of marksmanship, and will spend 4 hours on the range honing your skills. Carbine Fundementals or a California Carbine 1 Class is a prerequisite. 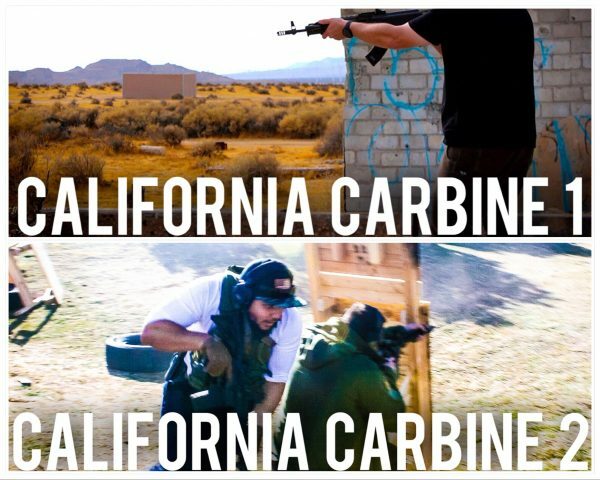 In this class we take your Rifle/Carbine skills to the next level. Prior to you signing up for any Tacticalifornia courses you must verify that you are legally and physically able to attend. Our courses require that our students are comfortable with shooting in close proximity to other students and maintain a fitness level capable of standing for long periods of time. Must be capable of movements that include: kneeling, prone, and maneuvering around obstacles. You will not receive a refund if you attend a class and do not meet these requirements. First 50% of payment is non-refundable upon registration. Second 50% is non-refundable within the 30 days of the start of the course. This course will be held Thursday, February 21st, 2018 from 9:00am-5:00pm. Lunch will NOT be provided so please bring your own lunch. There is nowhere nearby to run and get food so if you do not bring any, you’ll be hungry.